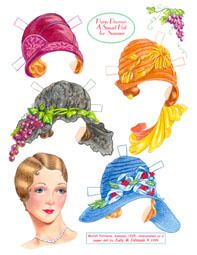 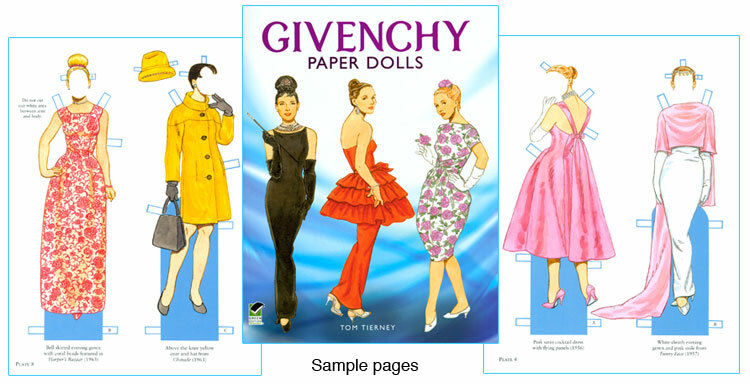 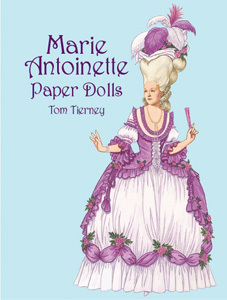 From Tom Tierney, the most famous and successful paper doll artist of all time, comes “Givenchy,” another in his series of books devoted to great fashion designers. 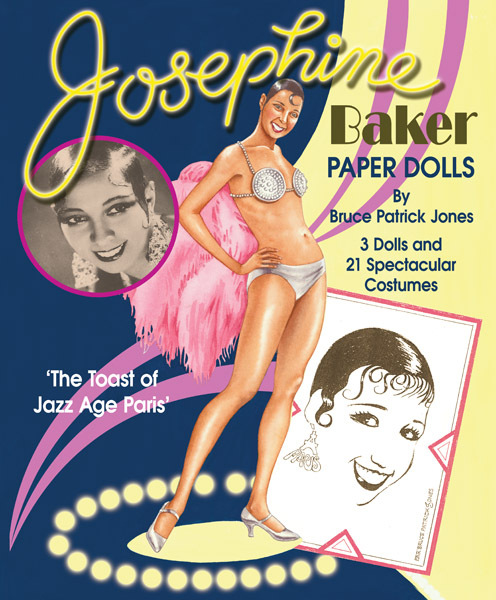 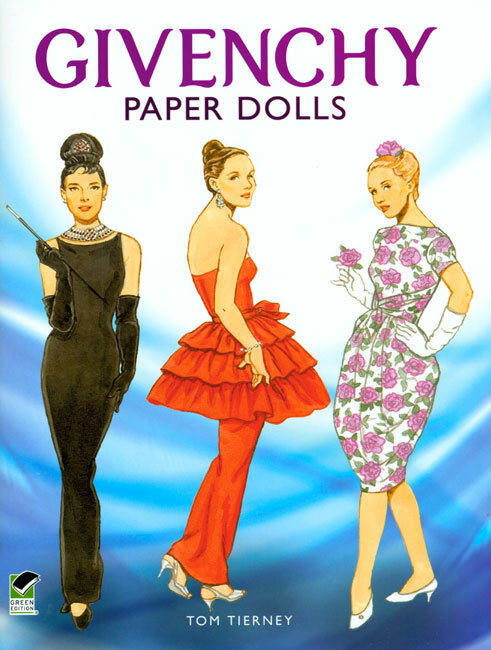 Hubert de Givenchy, the subject of this new paper doll book, was a name forever associated with his muse, Audrey Hepburn. 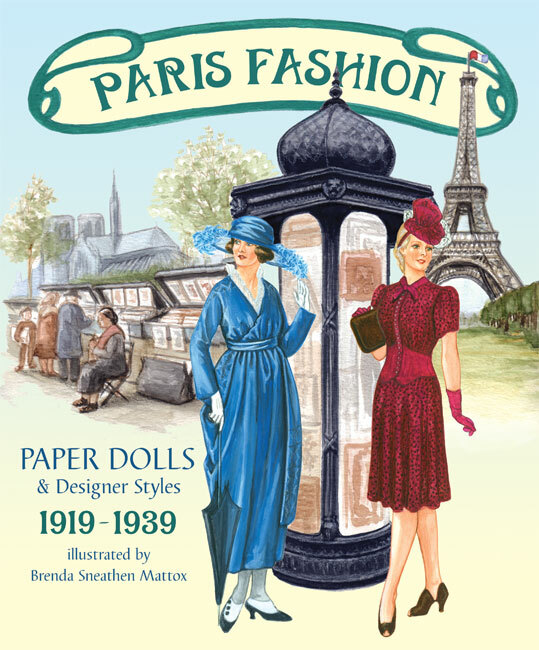 Includes many costumes designed by the Paris couturier that the star wore in films such as Breakfast at Tiffany's, Sabrina and Funny Face. 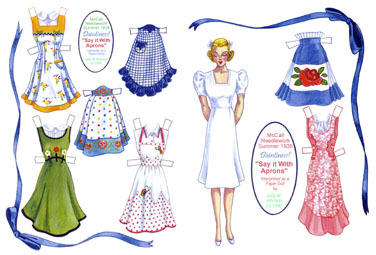 Also includes fashions worn by Jacqueline Kennedy and Princess Grace. 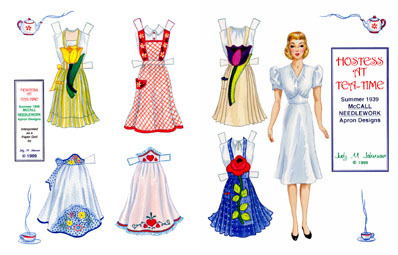 There are three figures and 30 costumes in all.